Imperialism is a type of policy in which powerful countries seek to extend their authority beyond their own borders. The policy of imperialism aims at the creation of an empire. Imperialist countries take control of other countries. They may use military force to do this or simply establish economic and political control over the other country. The ruler of an empire gains raw materials, human resources and new markets to sell their manufactured products. Therefore, a policy of imperialism can vastly enrich the imperialist country. This benefit can extend over a long period of time. Imperialism has been practiced throughout recorded history. However, there is one historical period that is specifically known as the Age of Imperialism. This period extends from the early 19th century to the mid-20th century. During the Age of Imperialism, modern, industrialised countries competed for control of pre-industrial parts of the world. In pre-industrial areas, natural and human resources were widely and cheaply available. 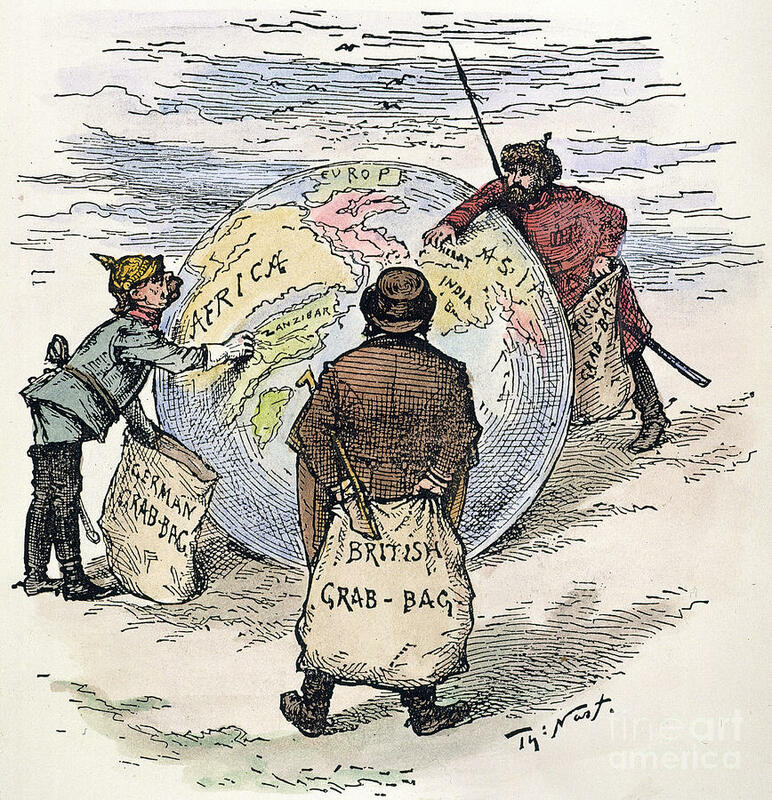 The imperialist countries that acquired the largest empires during the Age of Imperialism are The United Kingdom, France, Germany, Japan, and the United States. How did the Industrial Revolution encourage imperialism? Because the Industrial Revolution increased the production capacity of European countries, Japan and USA, there was an enormous demand for raw materials for the industry. Thus, Western countries look for colonies where raw materials were abundant and where they could be taken at little to no cost. Besides, colonies gave the European countries a market for their manufactured goods. Technological advances in Western arms and transportation made indigenous resistance minimum. Similarly, industrial age advances in medicine brought quinine, a supplement that exponentially increased the survival rate in malarial areas, acting as a preventative. Thus, Westerners could now worry about disease, while , before quinine, severe fever and even death often came within weeks after arrival.